James Whiting was an automobile pioneer from Flint, Michigan. Whiting founded Flint Wagon Works, which was later sold to General Motors. James Whiting also was a part of the group that bought the Buick Motor Car Company and helped in moving the company to Flint. He would serve as the president of the Buick Motor Car Company before later starting another motor company called the Whiting Motor Company. In Flint, everyone knows the theater simply referred to as ‘Whiting’, ‘The Whiting’ or formally ‘Whiting Auditorium’. This large theater is located in the Flint Cultural Center and holds over 2,000 people in the main auditorium. The Whiting presents a large range of shows, including theater, musicals, concerts, comedians, and many other forms of entertainment. The Whiting is truly a staple of many Flint area resident’s cultural entertainment. 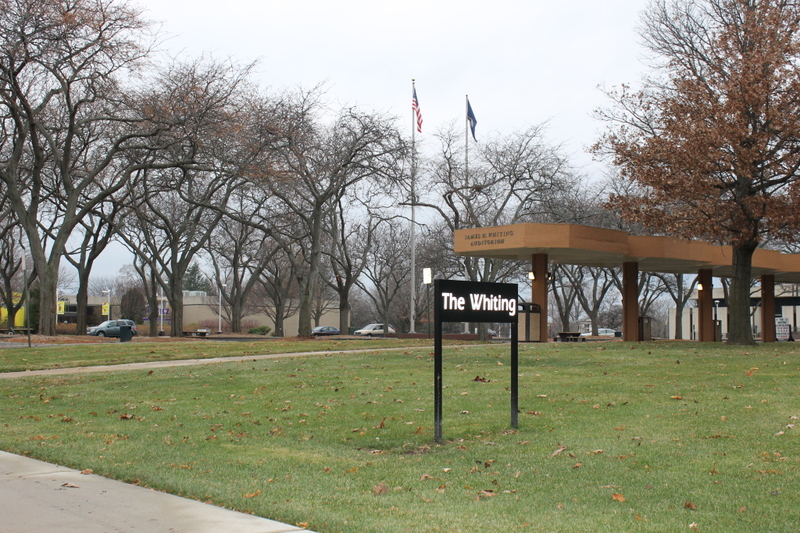 The Whiting was opened in 1967 and quickly became a top entertainment center for the region. 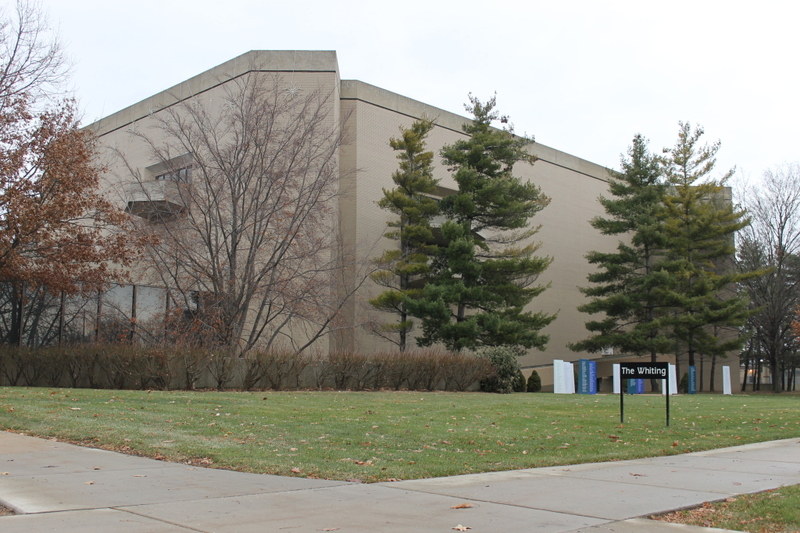 Although the building slowly fell into disrepair over the years, it was renovated in 1999. The building is once again beautiful and being well maintained. Inside of the lobby of the theater is a massive 7-foot hanging sculpture that is called the “Golden Sun”. It was commissioned in 1975 and was created by Harry Bertoia. It is currently valued at 5 million dollars. A request to enter the lobby to take my own photos was denied, and this small image was the only available.